In the years after that initial foray into shamanism, I have journeyed many times and developed relationships with several animal guides. Desiring to know more about the animals I was connecting with, I began to study their natural history. Fascinated, I expanded my exploration to all the fauna of the Adirondacks, so I would know those I might encounter while hiking or paddling. It was through this exploration that I discovered wildlife rehabilitation. A wildlife rehabilitator rescues and cares for injured and orphaned animals until they can return to the wild and live as successful members of their species. 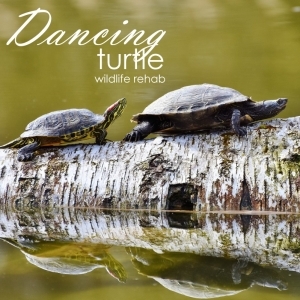 When I discovered wildlife rehabilitation, I felt as if I had been led by my turtle guide to an opportunity to bring healing to the animals in my area and give back to the Earth. I was licensed by the New York State Department of Environmental Conservation in 2018. I specialize in the rehabilitation of turtles, honoring my guide, as well as other reptiles and amphibians, plus small mammals such as squirrels and opossums. Wildlife rehabilitators are volunteers. The cost of housing, medical supplies, and food for the animals in my care can be quite high. You can help me keep needed items on hand by purchasing items from my wildlife rehabilitation wish list on Amazon.com. North Country Wild Care is a network of home-based rehabbers and refuge centers from New York’s capital district to the northern Adirondacks. As a member, I get training, access to knowledgeable and experienced rehabbers, and financial support. North Country Wild Care volunteers staff a 24/7 hotline to address wildlife emergencies and coordinate rescues, transportation, veterinary care, and rehabilitation. Please consider visiting their website and donating towards formula, food, and medications. You do not have to be a licensed rehabilitator to assist us in helping wild animals. We are always in need of hotline staff and transporters. Free training is provided. Outside of the North Country Wild Care area, you can find a licensed rehabilitator on the New York State Department of Environmental Conservation website, through your state’s wildlife office, or by visiting Animal Help Now for nationwide listings of rehabilitators and rescue organizations. I am also an advocate for wildlife protection and conservation, especially through designated wildlife corridors and safe road crossings such as green bridges and tunnels. An estimated 400 million animals are killed by motor vehicle strikes annually in the United States, eliminating otherwise healthy breeding adults who are a vital part of the continuation of their species and their ecosystems. Please support wildlife corridors and safe crossings when they are proposed in your area. Contact me for assistance in finding organizations in your area who advocate for safe passage.